Science called Virology Virus. Virus (Latin) = poison. Almost all viruses can cause disease in other organisms. Currently, the virus is the most small-sized creatures. The virus can only be seen with an electron microscope and escaped from filter bacteria (bacteria filter). D. Iwanowsky (1892) and M. Beyerinck (1899) is a scientist who discovered viruses, when they examined the tobacco mosaic disease. Then W.M. Stanley (1935) an American scientist succeeded in crystallizing the virus that causes tobacco mosaic disease virus (TVM). Her body still be referred to as cells, are composed of a protein coat on the outside and nucleic acids (ARN & ADN) on the inside. Based on the nucleic acid contained in the virus, we know the virus ADN and ARN virus. Viruses can only reproduce (replicate) the medium of life (embryos, animal tissue, plant tissue). The materials needed to form the body of the new virus, derived from the cytoplasm of infected cells. Virus TMV (Tabacco Mosaic Virus) causes mosaic in tobacco leaves. Tungro Virus: causes the rice dwarf disease. Virus transmission by intermediaries brown plant hopper and green leafhoppers. Virus NCD (New Castle Disease) causes Newcastle disease in chickens and ducks. dangerous are viral hepatitis B. How to prevent the disease because the virus carried by the action of vaccination. The first vaccines were invented by man is the smallpox vaccine, invented by Edward Jenner (1789), whereas oral vaccination invented by Jonas Salk (1952) in tackling the causes of polio. Humans are naturally able to make an anti virus in the body, called Interferon, though people can still sore due to virus infection, due to the speed of virus replication could not be offset by the speed of synthesis of interferon. 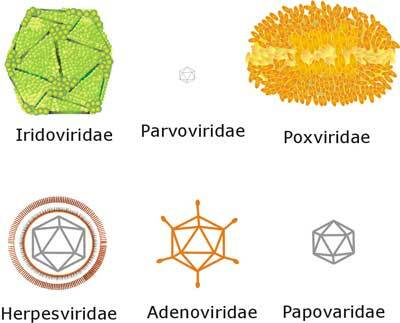 Hopefully the article Biology of Viruses and Prevent useful for you.